Coffee Consumption in Teens: A little too much? With the increase of caffeinated food and drink, caffeine consumption in teens has increased greatly, with one of the most popular caffeinated beverages being coffee. While coffee has been proven to have some health benefits, how much is too much? Studies by many medical groups have shown that coffee does have many health benefits. The article “Coffee and Your Health” published on WebMD is one of the many articles which expresses that those who drink coffee may be less likely to develop type 2 diabetes, dementia, and Parkinson’s disease. They may also be less likely to develop cancer or heart problems. Coffee is also known to help relieve fatigue and increase focus. This makes sense for teens who often find themselves juggling busy lives. With different extracurricular activities to attend to after school, piles of homework waiting on their desks to be completed, and such a social world to keep up with, many teens are found turning to caffeine to keep themselves awake and alert. So what is the conclusion? The number of teens drinking coffee is increasing and it is only bound to increase. This poses questions about the financial aspect of coffee, with many teens finding themselves stopping at the nearby Dunkin Donuts or Starbucks to pick up their morning coffee. A small (16 oz) iced coffee at Dunkin Donuts costs $1.99, and a Grande (16 oz) iced coffee at Starbucks costs $2.45, and the cost does add up. Whether it has to do with prices or quality, some teens also tend to prefer one of these popular chains over the other, while for others, coffee is the same anywhere they go. “I get my coffee from pretty much anywhere, including the common places like Dunkins and Starbucks,” said Brown. 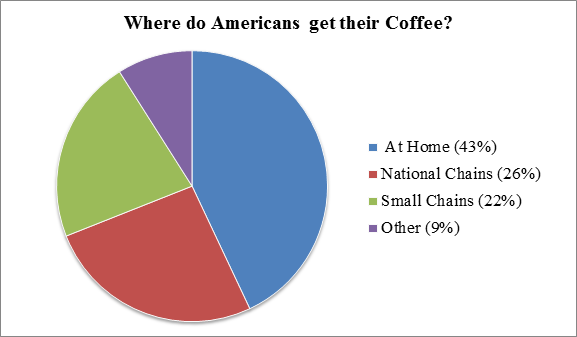 “I also sometimes make it [at] home…I think they all are very similar.” Schmalz also seemed to have a similar opinion: “I make my coffee at home, but the beans are from Starbucks. Occasionally I’ll get it from Starbucks, and I’ve had one or two from Dunkins.” Regardless from where teens choose to get their coffee, it is clear that coffee consumption in teens has significantly increased. The reason may be that teens lives have gotten busier over the years, or it may have to do with the social pressures that teens have put on them. Maybe the reason is just because it tastes good. Whatever the reason may be, as long as the amount of coffee teens drink on a daily basis does not drastically increase, coffee consumption can be healthy and can help busy teens start their day on the right foot. Next Next post: IACS drama cuts Footloose!